(18/10/98)16hh thoroughbred x warmblood. Medley and Jill had great success eventing up to 2* together in her younger years. Medley is a wonderfully kind and generous school horse and the favourite of many. She has taught countless riders how to canter and jump, and is still out competing and going strong with her part-lessee Gail. (1/8/2005) 15.3hh lusitano. Charon has big, beautiful paces; he lives up to the Portuguese war horse’s characteristics of being intelligent and highly willing. Charon has a sensational work ethic. He is a master at teaching his students about collection and contact, and offers an elevated forward ride, which once collected, allows for a smooth and glorious cantering experience. (1/8/1994) 15.1hh Thoroughbred x Australian Stock Horse. Annie is well schooled on the flat, uncomplicated and generous. She is one of our all time favourite confidence-boosting rides for beginners. (21/9/2004) 16.1hh warmblood x quarter horse. Monte is one of our taller horses, but one of the favourites with our smallest riders. He has soft gentle rocking horse paces that make learning to sit trot and canter look and feel easy. Monte has successfully evented up to prelim (95cm) and is now part leased to Caroline who prefers to trail ride and work on dressage. (1/8/2005) 15.2hh warmblood x thoroughbred. Georgi joined Terrey Hills Riding School in April 2017. 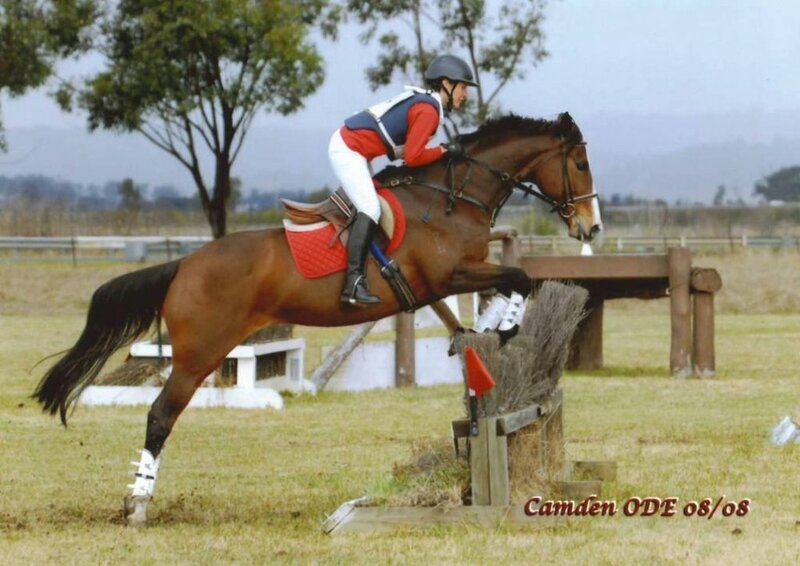 She has been successfully campaigned as both an eventer and showjumper with previous owners. Georgi is strong and tough, and very affectionate. She offers a forward going, energetic ride with a big canter. (6/9/12) 16.1hh thoroughbred. One of the youngest in the herd, Zippy retired from his racing career in June 2017. Chosen for his kind and quiet disposition and uphill conformation, he is being patiently retrained as Lauren’s eventing competition horse. (1/9/02) 16hh trakehner (warmblood). Silvio is a highly educated school master. Previously competed as a 1* eventer, medium level dressage, and 1.25 showjumper, Silvio now teaches riders interested in fine-tuning their timing and finesse. Silvio is part-leased by Anita, who is enjoying developing her partnership with this talented horse. (10/9/05) 16.2hh thoroughbred. Lauren took on Magic in 2012 when he retired as a racehorse. He has a divine temperament and endless desire to please his rider. Magic competed under the name “Brave Heart” with Lauren at 2* eventing and 1.20m showjumping until 2018. Now retiring to a slightly less demanding career, in 2019 Magic will continue to train and compete with his lessees, Pascale and Jennie. (04/08/10) 15.3h thoroughbred. The newest team member, Awesome George joined THRS in March 2019. Racing in regional Queensland under the name Jorja’s Jet until September 2017, Awesome George then found a new career as a school horse, where he showed his forte is not in racing, but as a quiet, obedient and gentle teacher to riders of all levels. George is uncomplicated, and very willing. He just wants to please. (1/8/09) 14.3h arab. Jasper is a registered crabbet arab. He is kind, easy to handle and loves attention. Jasper was an endurance horse prior to joining the THRS team in October 2018, and has completed 80 km competitive rides. He is now showing an emerging talent as a showjumper. He is an all-round lovely school horse (pictured on right). (05/02/13) 17.1h warmblood. The youngest and tallest team member, Hugo is a performance bred gelding who has been selected to join Zippy as one of Lauren’s up and coming competition prospects. Hugo is being trained and competed in dressage and showjumping. (27/9/94) 16.1 thoroughbred. Zoffy was bred as a racehorse, then found his forte as a very successful, brave 2* eventer with his owner Elissa, for many years. Now in his more senior years, Zoffy has been retired from eventing and lives a simpler life as a school horse. He is uncomplicated and exceptionally obliging. A real pleaser!